Cranfield is an exclusively postgraduate university that is a global leader for education and transformational research in technology and management. Originally founded as the College of Aeronautics in 1946 we are an exclusively postgraduate and research-based public university specialising in science, engineering, technology and management. We enjoy unrivalled links with business, industry and governments and have mutually beneficial relationships with nearly 1,500 organisations around the world; from the smallest owner-managed SMEs to the largest multinational conglomerates; British and international universities, non-government organisations and governments. We play an instrumental role I ensuring that the UK stays at the cutting edge of manufacturing research and is a driving force for both the rapid growth of established areas of manufacturing expertise and the development of new research areas. Research partnerships have already been established with more than 500 organisations of all sizes and disciplines and Cranfield is one of only five UK universities to have a strategic partnership with BAE Systems and is the first university in England to deliver Masters level apprenticeships. 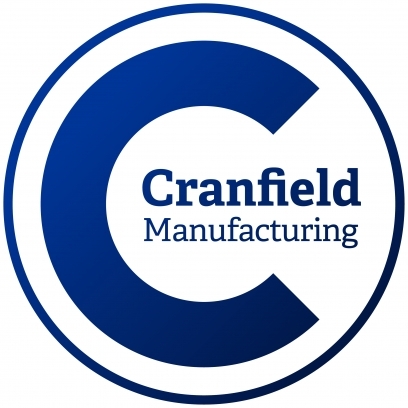 An innovative qualification from Cranfield University is enrolling a second intake since launching in January, after large manufacturing employers rushed to enquire having learned the course provides an efficient means of utilising the Apprenticeship Levy. The Mastership, a trailblazing degree apprenticeship devised by Cranfield, is providing masters-level vocational education for 74 BAE Systems graduate engineers this year, while allowing the defence company to claim back the funds under the Apprenticeship Levy’s rules. The level 7, Postgraduate Diploma in Engineering Competence, which is part of the competency-focused apprenticeship is delivered fully online, the first digital-only engineering course of this level in the UK. This gives students the flexibility to study around work with little interruption to their daily work, by combining live interactive group sessions and “on-demand” sessions, requiring minimal personal attendance. The Cranfield Mastership complies fully with the definition of apprenticeship training under the government’s guidelines for the Apprenticeship Levy. Graduate engineers receive enhanced, online education and the employer is immediately eligible to reclaim the levy it pays, providing certain criteria are fulfilled. The levy is currently 0.5 per cent of a company’s payroll when that is £3 million or more per annum.